Of course, my North American Thebaid Pilgrimage will be conducted primarily by car, with A/C, cruise control and GPS. I’ll enjoy the “soft comforts” of food and lodging at every stage of the journey. Oh yes, I may have automotive breakdowns (but for that I have AAA), and I may take some wrong turns and get a little lost. 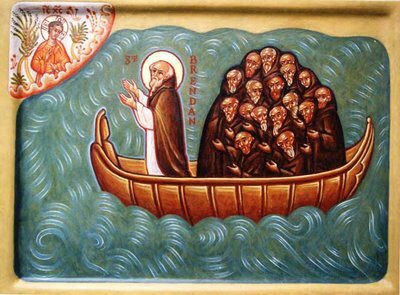 I may feel isolated and alone, and at times suffer other inconveniences, but nothing like St Brendan and the great Christian pilgrims of the past. 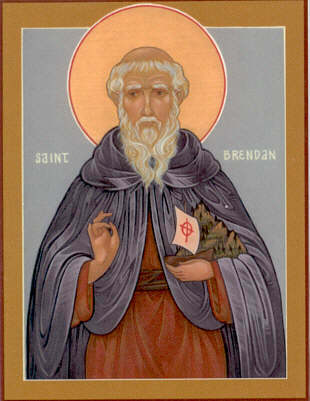 Holy St Brendan, pray to God for me and for my Pilgrimage! Looking at the World from the Celtic Shores of Scotland—and Elsewhere, with Fr. Seraphim Aldea; hosted by Ancient Faith Radio. Have you ever wondered what the world looks like through a monk’s eyes? 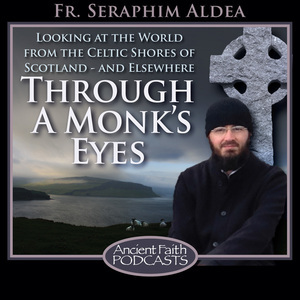 Priest-monk Seraphim shares his stories of the places he visits and the people he meets as he travels the world to found the first Orthodox monastery in the Celtic Isles of Scotland in a thousand years. The Monastery is dedicated to All Celtic Saints, and you may support its founding at mullmonastery.com. Listen to more episodes and subscribe to the podcast here.